Interestingly, the amount of consumers that never use their smart speakers is 12.7%, which exactly matches the number of heavy users that interact six or more times per day. You can see from the chart that usage heavily skews toward at least daily use. The high frequently of consumers asking Alexa and Google Assistant for information stands in contrast to how infrequently voice assistants are used today on mobile. Smart speaker owners report using voice assistants on their devices an average of 2.79 times per day. Smartphone owners also use voice assistants but at a much lower frequency. While over half of smartphone owners report having used voice assistants on mobile and 42% report using them monthly, Verto Analytics found in 2017 that usage only averaged 10 times per month. 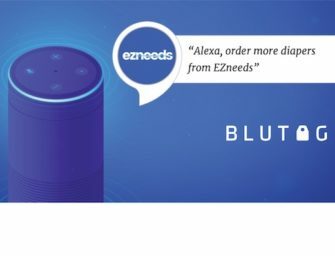 That translates to about 0.33 times per day or about eight times lower in frequency than voice assistant usage on smart speakers. Smartphones have a great deal of functionality beyond voice assistants so it is not entirely surprising that usage is lower than on smart speakers which typically can only be accessed by voice. The question is whether the innovation around voice assistants and familiarity based on smart speaker usage will in turn increase frequency of use on smartphones.